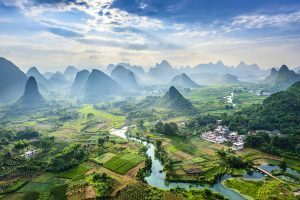 China, the most populous county in the world, is rich in culture, history, and some of the best landscapes you will ever see. With its vast geography, there are so many places to visit that it is an injustice to say there are only ten places to visit in China. If all the attractive tourist places were to be mentioned, we would be reading a book about this fantastic place. China’s history provides scenery for many places to visit with family and at the same time have a lot to do. Places like the fantastic food courts of Shanghai, the Forbidden City of Beijing, the tombs of Xi’an, and the Great Wall. Apart from the hustle and bustle of the cities, there are desserts and tropical beaches waiting to explore. 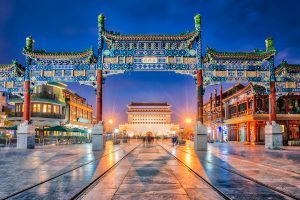 So, on your next trip to this grand country, here is a compiled list of places to visit in China. Beijing is the capital of China with a population of over 21 million. It has over 700 years of history displayed everywhere you go. Beijing is one of many cites tourists love to go. It is straightforward to get to by air and with high-speed trains is transit to other favorite cities. Beijing has many famous attractions to visit. For example, The Great Wall, The Forbidden City, The Summer Palace, and The Temple of Heaven to name a few. It is also the city that is home to the Tiananmen Square and the National Museum of China. You will see ancient architecture and the Chinese gardens. Beijing has plenty of sites deemed as World Heritage Site by UNESCO. Especially sites like the emperors of the Ming and Qing dynasties. Also, you will see opulent ceramics, fountains, and paintings. With so many places to go, it is best to plan before going so that you will get the best sites from your trip. Shanghai is China’s biggest city with over 24 million people. It does not display many historical sites as does Beijing because of the constant development of skyscrapers. Shanghai is a city with major shopping malls, luxurious hotels, and prestigious arts. In Shanghai, you can stroll through the Bund or the Yu Garden. Go downtown to the Zhujiajiao Water Town to see the ancient canal. The Shanghai Tower will offer the most fabulous view of Shanghai in the day or night. If you are ready for an adventure, take a ride on the fastest train, running at 270 mph. You can also spend some time in the French Concession. Shanghai is so vibrant that it is compared to New York and Paris. It is China’s leading economic and business city. 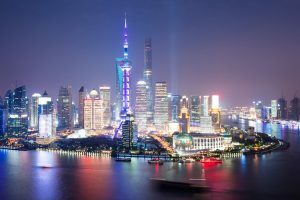 If you are ready to go to a modern city, Shanghai is that and more. Xi’an is one of four great capitals of old China and holds a lot of history. The most famous is the Terracotta Army. 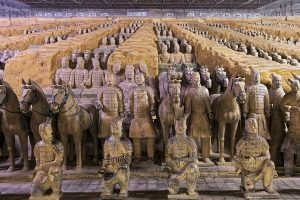 The Terracotta Army is made up of thousands of horsemen and soldiers buried with the first emperor, Qin Shi Huang. They were the protector of him in the afterlife. Another famous attraction of Xi’an is the most extended city walls stretching a little over 13 kilometers or about 8.8 miles. The wall was used as a fortification in the 14th century. You will also see many mosques and Taoist temples that display the multiculturalism of the ancient capital. For example, one of the oldest Buddhist temples, the Big Wild Goose Pagoda or the Muslim Quarter. Xi’an was the starting point of the Silk Road trade route to Europe. It was an economic and cultural exchange during the imperial times between the east and the west. Lhasa is the capital of Tibet and is sometimes referred to as the gateway to Holy Tibet. The name Lhasa is Tibetan for “place of the gods.” It is one of the highest and elevated city in the world at 11,500 feet or 3,500 meters. 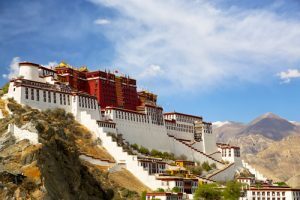 Lhasa has the Potala Palace which was once the home of the Dalai Lama before he was exiled. The Palace is divided into two, the White Palace (where the Dalia Lama lived) and the Red Palace (a spiritual center for the Buddhist Monks). The palace is now a state museum. Outside the city of Lhasa are the famous Mt. Everest, Lake Namtso, and Mt. Kailash. Other places to go are the Barkhor Street and Sera Monastery. If you like adventures, then Guilin is the place to come. It is known for its gingko-dotted parklands and winding historic streets. Guilin is filled with limestone scenery and sprawling rice terraces. The Li River provides one of the most beautiful sights on the planet. Guilin main attractions are the Yangshuo and the Longji Terraced Fields. The Karst mountains in the backdrop will display a look from somewhere out of this world. Guilin is just an hour away from Hong Kong by air. The change in scenery will make it worth the wild. 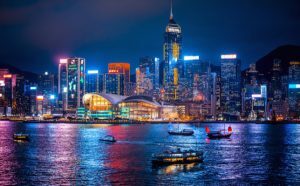 Hong Kong was once a colony of the British and now displays a fusion of Chinese tradition and British culture. It is the world’s highest concentration of skyscrapers. Hong Kong is a commercial center with world-renowned shopping centers and many attractions. Hong Kong famous attractions include the Victoria Peak, the markets of Kowloon, and many theme parks on Lantau Island. If you take the tram to Victoria Peak, you will have the most spectacular view of the city lights. Also, the dazzling skyline and skyscrapers can be seen. While in Hong Kong, you can visit the local restaurants and enjoy the authenticated dim sum. Take the Starr Ferry to enjoy the Victoria Harbor. Your experience will be a once in a lifetime in a city that never seems to slow down. 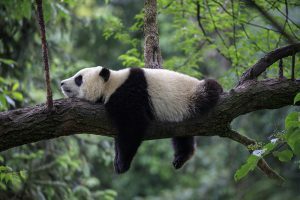 Chengdu Panda Research Base is where you will see the giant pandas in their natural habitat. Apart from the pandas, there are other well-known attractions to see. The Leshan Giant Buddha stone statue carved out of a cliff. This statue is 71-meters tall. Chengdu is also famous for delicious food like the Kung Pao chicken and spicy hotpot. You can visit the Jinli Old Street to taste local snacks and see the architecture from the Qing Dynasty. You will also find ancient teahouses in the Kuanzhaixiangzi District. Hangzhou is famous for its natural scenery. 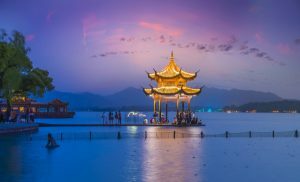 Especially, the West Lake that is aligned with ancient buildings and gardens designed for relaxation and spirituality. Also, you will see the cultural relics, the Broken Bridge, and the Qing Dynasty Mid-Lake Pavilion. Hangzhou also has the longest ancient canal, The Grand Canal, which is over 2,000 years old. The Lingyin Temple is the wealthiest Buddhist temple that has many pagodas and grottoes. The Wuzhen Water Town creates the image of Chinese painting. 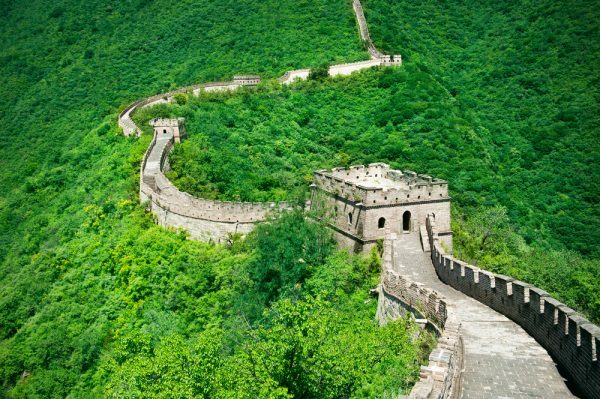 The Great Wall of China is about 5,500 miles in length. Many dynasties built it over many years for protection from invasions. With a history of over 2,500 years, some parts of the wall are in ruin or disappeared. It stretches from Hushan, in the east, to Jiayuguan, in the north. The Great Wall winds up and down and across grasslands, mountains, deserts, and plateaus. It will be a great hike if you plan to walk on the wall. But how many can say they stepped on the Great Wall of China. The hiking trail can take hours at a time. It is something definitely to be done by a family or a group of friends. Hainan is a small Southern Island with many of the best beach fronts in China. It has a feeling more like Southeast Asia than China. 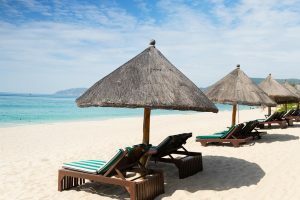 With its tropical climate, you will find many beach resorts and luxury hotels. The lust jungles, coconut palms, and pine forest keep you in a relaxing mood. On the southern tip of the island, the city of Sanya has beaches range from 22 km long. On hiking trails, you will pass over suspension bridges and waterfalls. This part of China gets many tourists during the spring and fall seasons but is as busy during the summer time. 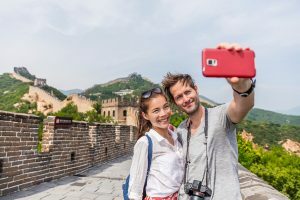 So, if China is on the list for your next vacation, make sure you have your passport ready for traveling. China, like other Asia countries, does require a visa to visit. The Length of your stay will determine the type of visa you will need. It is best to get your documents in order before you leave the US.